Celebrations of Life; Don’t let the Holidays feel Hopeless. 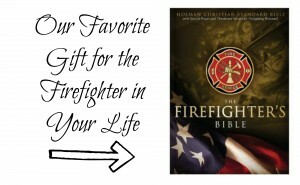 It’s something that is no stranger to anyone who loves a firefighter, but this time of year it can seem more intense and more frequent. I’m talking about worst case scenarios. Our firemen stare death, destruction and tragedy in the face, often. It’s just something that is in the cards for us all to deal with as it trickles down to us. 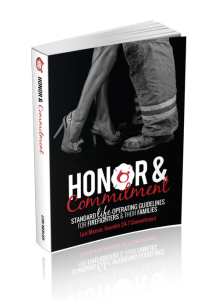 On a firefighter’s wife level, you still need thick skin to cover your soft heart. This month? Line of Duty deaths, firefighter suicides, lives lost in fires, med calls, homes destroyed, vehicle accidents of all kinds… and sometimes tragedy strikes so close to home that it shakes the entire community. In my small town we are currently dealing with an 8th grade student suicide. My shock is still pretty prominent. Things have never hit so close to home, this is MY back yard. This was a kid I have had contact with, a kid who was school friends with my own 7th grader, a kid who has sat in my truck after school giggling about something super silly with my daughter. My bleeding heart aches, yet this is Christmas. Do I really need to let the suffering of the world prevent me from spreading the Christmas Spirit where and how I can? Would he want that? While we are mourning the loss of his life, and mourning the many other tragedies that have occurred just in December itself, I want to LIVE. We will attend a Celebration of Life for Dustin today. A CELEBRATION of LIFE. This reminds me, I want to celebrate not only his life, but ALL life. Life is a gift and if you’re in a rough sorrowful season, please know it will pass. I wish that we could have walked this child through that, but through his passing many other children will not only be given the gift of life through organ donation, but many, many other children will receive another type of gift. A life lesson. A life lesson we should all take from any tragedy. Know that I pray for those who are suffering and those who are rejoicing. Christmas is for sharing, caring, giving, helping and loving. Sure, we should all do this throughout the year but if the Spirit of Christmas moves many more to act during these few weeks, I’ll take it over nothing. Let’s celebrate life. Living. Loving. Let’s find the silver lining in the dark, heavy clouds rather than just lying down and suffocating in pity. Pay life forward. There are few situations here in which I could imagine thinking there is nothing to be grateful for… THOSE are the people you want to serve. Work a soup kitchen. Support a cause close to heart. Give the homeless “Bags of Goods”. Provide Christmas Dinner for a needy family. Donate to your favorite charity. Check with agencies about sponsoring children for Christmas. Donate needed items to nearby shelters for abused women and children. Extend a hand to someone you’ve been on bad terms with. Plan ahead for next year and plan to buy needed commodities for 3rd world countries like chicken eggs and milk goats, plan Operation Christmas Child boxes or think of where you’d like your area of Christmas focus to be. Adopt a grandparents at the nursing home. Are these things you aren’t ready for yet? Then find your favorite type of Christmas tunes on Pandora. Watch your favorite Christmas movies with your favorite treats. Visit with those you laugh with. Drive the best light display routes. Send personal Christmas cards. Display your cards. Write a list of everything you’re thankful for. Don’t think you have much to be thankful for this season? Write a list, check it twice and make sure you don’t forget one single thing that you are blessed with. What if you woke tomorrow with everything that you were grateful for today? Even when we have our own tragedy, we still must be thankful and find the joy, no matter how dim, in our lives. Life itself is the very first thing we must be grateful for. Dig yourself out of that hole if you’re having the Holiday Blues, if you can’t… call on someone who can. You don’t get time back, don’t waste it. Celebrate it. Help bring a little happiness and support to those who don’t have as much as you do. It doesn’t have to involve money, loving life and people is free! If you have the opportunity to shine a little ray of light in someone’s darkness, do. If you feel like you’re experiencing anything that is more than a bad day, call the number on this graphic, check out our Crisis Resource Page. When you feel utterly hopeless, it is more than holiday stress. Call on a friend, family member or a counselor. Huge hugs to you Jessie. Thanks. The memorial was great, got Taco Bell since it was the last meal we shared with him and now the kids are watching Stewart Little and having hot chocolate! I just hope people reach out if they need help and find hope and cheer if they are just down. I love Christmas… It’s magic!